Nancy Repay likes being able to give back to her alma mater. Repay is director of admissions at Bishop Noll Institute in Hammond. 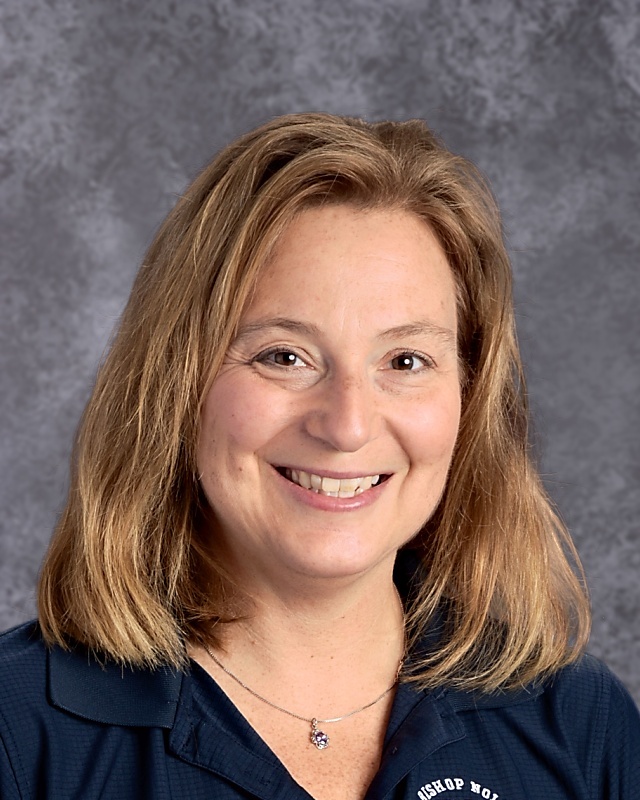 When she graduated from Bishop Noll in 1985, Nancy (Kruzan) Repay could not imagine just how connected she would remain to her alma mater. After graduating from Calumet College of St. Joseph, Repay taught math, physical education, and health at St. John Bosco School in Hammond for 11 years, where she also served as athletic director. In 2013, however, she made her return to Bishop Noll to serve as its Director of Admissions. In addition, she is a coach for the track and cross country teams, along with her husband, Karl, also a 1985 Noll grad. Under Repay's direction, Noll's enrollment has increased and its student body continues to flourish while maintaining the standards of excellence the school is known for. Fall is Repay's busy season as she prepares for upcoming open houses and entrance exams at the Catholic high school. She also travels the Region to visit area seventh- and eighth- graders and get them excited about joining the Bishop Noll family. "We have so much to offer students in academics, clubs, sports and religious studies. I also tell them about scholarship and financial aid opportunities." Repay has some exciting surprises planned for this year's school open houses, which will take place from noon to 2 p.m. Nov. 5 and 6 to 8 p.m. Dec. 5 at the school, 1519 Hoffman St.
"We have worked hard to make these events fun and interactive for our future Warriors. Of course, they will meet teachers and coaches and tour the school, but they will also get to see our technology in action and have the chance to explore Bishop Noll in a new way." For more information on these upcoming events or Bishop Noll, e-mail Repay at admissions@bishopnoll.org.